What is a travel portal and how does it generate business over the web. 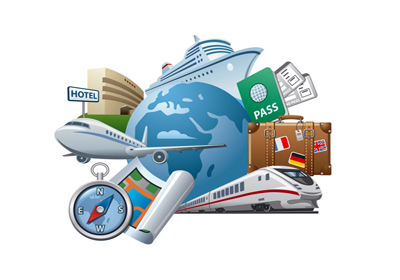 A travel portal provides many facilities to the users like online ticket booking facility by only reaching to the website etc. A travel portal provides the customers with luring holiday packages too as per their requirements and according to their budget. The package section is very special in features, which can be classified in many user sections. We can design and develop a great travel portal for you that will have an attractive and user-friendly graphical user interface. The facilities that you are offering to provide through that portal will all be reflected in a logical and strategic manner to augment your tours and travel business. We make your portal as easy-to-navigate, and at the same time, as fascinating as it can be for your happy customers to come back and visit your website time and again, looking for more info. Desgin club india is the one who designs your presence by creating an engaging, purposeful and imaginative and resourceful travel portal that will bring you tons of business.